Earn 10% from every sale made by traffic out of your website. Minerals Company founded in 1993. From that moment we began our international expansion and distribution reaching a worldwide recognition of high quality performing products. We have worldwide known name in the cosmetics branch and our products well sales all over the world, almost by their self. Using our laboratory and experts, we fitted the components to the dogs' hair and skin and the results are amazing! Partner with us will help you to expand your incomes by doing NOTHING – we already did it all for you. 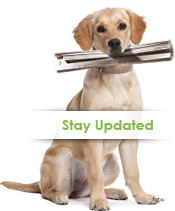 Visitors from your website that will click on the banners will be automatically redirected to our website. 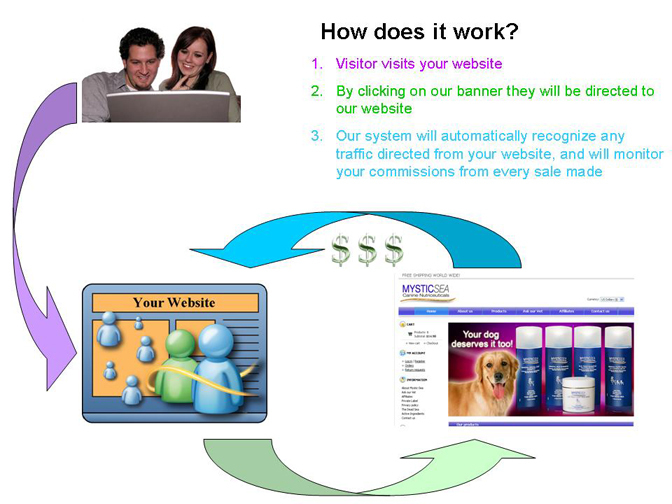 Our system will monitor the sales that were made from traffic out of your website and will calculate a 20% commission from it. A few days later (maximum seven business days) you'll see the money in your personal account. How much and when are we paid? For every sale made you will get 10% commission from the total amount of the sale. The payment will be made after you will reach to the minimum of 50$ in your account. A win win situation for both sides: The more we will earn – the more YOU will earn! High commission rate: 10% of every sale! Above internet average. No commitment – You may leave our program any time. You are allowed to publish the program in the following ways: Banners, application, searching engines (Google, yahoo and etc), marketing contents, tools bar, text ads, blogs, forums and social networks, Emails and fax (according to the law). Founded in 1993 MINERALS Health & Nature Products from Dead Sea Ltd presents 100% natural paraben free health and beauty products, based on the purest minerals that have risen from the depths of the Earth, and are found in the Dead Sea - the deepest, densest, and most mineral-rich body of water on earth. Our products contain a balanced formula based on minerals aromatic oils and natural active ingredients that have been developed and recommended by veterinary to suit the best to your dog coat and skin PH. All packaging is recyclable and environmentally friendly.